• The thrill of adventure riding without sacrificing safety or performance. • Balanced tread depth and distribution cut down on irregular wear and ensure superior grip throughout the life of your tyre. • Base grooves maximize the sporty feel of this tyre while improving contact feel both off and on the road. 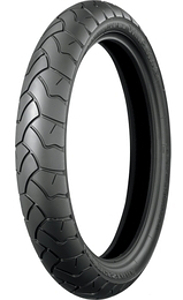 • Every ride is an adventure with the stable, reliable and robust performance of the BW 501 tyre under your wing. • Get the grip you need whatever the weather and whatever the surface with the BW 501’s unique tuned groove pattern.